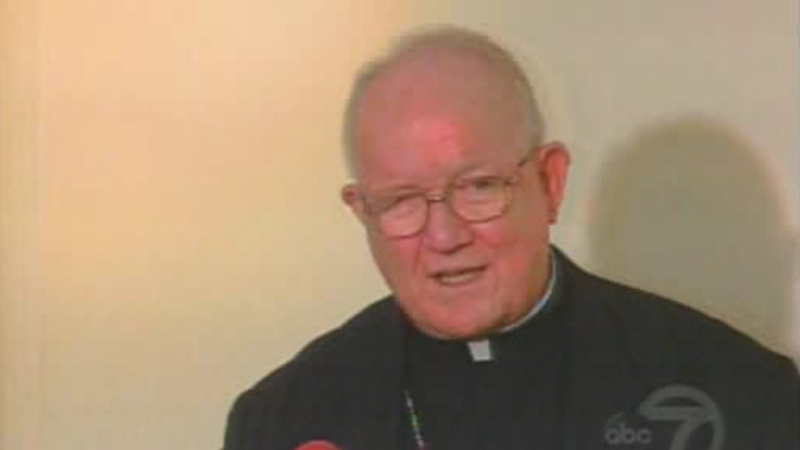 Douglaston, QUEENS (WABC) -- The Most Reverend Thomas Vose Daily, Bishop Emeritus of Brooklyn, died Sunday night. He was 89 years old and had been residing at the Immaculate Conception Center in Douglaston, Queens. He is best remembered as the sixth Bishop of the Diocese of Brooklyn in 1990. As a young priest in the 1960's Daily was a missionary in Lima, Peru. He selflessly served the poor and indigenous there and considered it some of his most rewarding work. Originally from the Boston area, he attended Boston College and later St. John's Seminary in Brighton, Mass. He was ordained priest of the Archdiocese of Boston in 1952 by Cardinal Richard Cushing at the Cathedral of the Holy Cross. Fluent in Spanish, he was given special duties and consecrated as an Auxiliary Bishop in the Archdiocese of Boston. With the Knights of Columbus and the Diocese of Brooklyn he hosted Pope John Paul II for the Holy Mass at Aqueduct Race Track in 1995. Due to failing health he resigned as Bishop of Brooklyn in 2003 and remained as Emeritus Bishop of Brooklyn.